I’m always on the lookout for easy, healthy-ish snacks to make for the kids, and I thought these Mexican alegrías sounded promising. 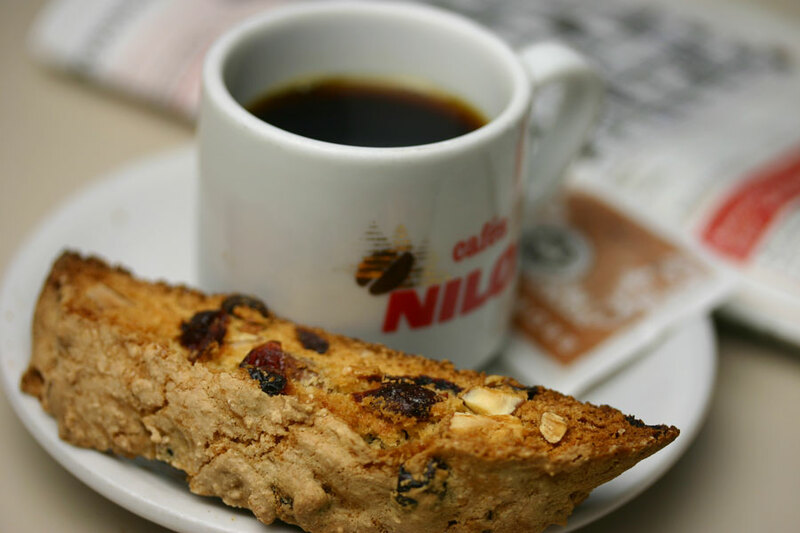 Amaranth is a great source of protein and nutrients, but there’s too much sugar involved for me to consider alegrías healthy. 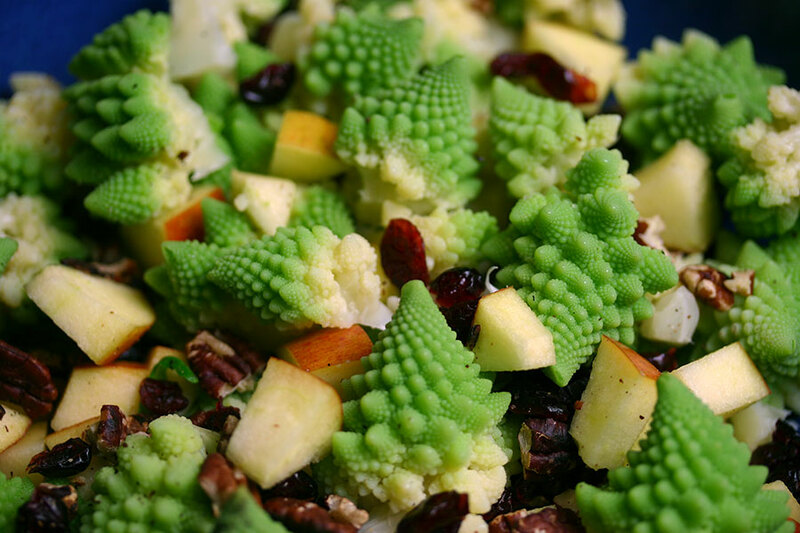 This healthy, Christmas-y (not so often you use those two adjectives to describe a dish) romanesco apple pecan salad makes a refreshing change from turkey soup and turkey sandwiches at this point in the festivities. And aside from steaming the romanesco, it takes only minutes to put together – another point in its favour. On the few occasions I’ve seen butterscotch chips for sale in the UK, they were in the specialty imports section and crazy expensive. So I tuck a few bags into my suitcase whenever we make the trip home. And Canadian houseguests have been known to arrive bearing butterscotch chips for me (and Goldfish crackers for the girls). 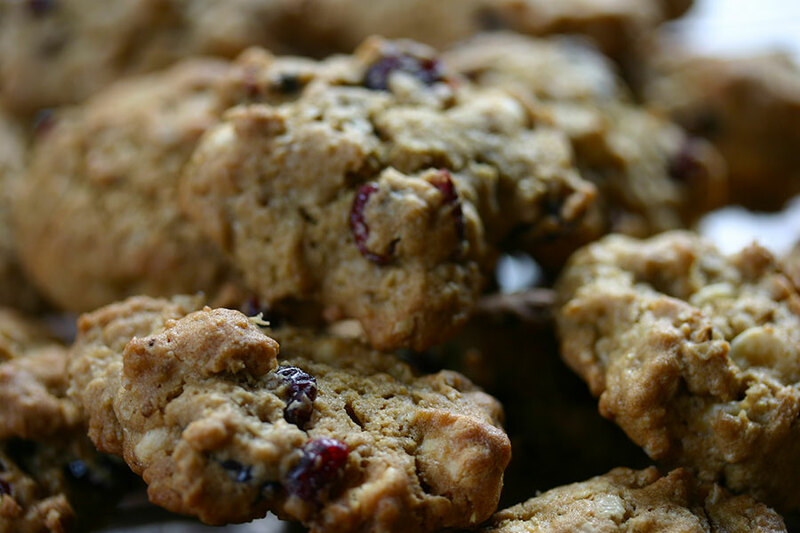 When oatmeal butterscotch chip cookies aren’t an option, these cranberry and white chocolate numbers are a decent alternative.